Plan on travelling over Easter? Here’s how to avoid the dreaded jetlag! Most of us at some stage of our lives will experience the suffering of jetlag, a temporary condition caused by air travel across time zones. Our body clocks are “out of whack” resulting in a temporary circadian rhythm sleep disorder or sleep-wake schedule disorder. 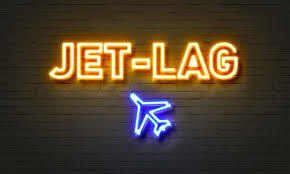 Fatigue and insomnia are the most common signs of jetlag, however some people experience more severe symptoms including anxiety, confusion, headaches, digestive issues, dizziness, and mentation difficulties such as memory loss. If you have traveled with a child or baby, they are not immune and can also suffer from these symptoms. Although jetlag is somewhat unavoidable, there are ways to help your body recover more effectively without prolonging the inconvenient symptoms brought on by international travel. As much as you will feel like napping-don’t! Napping with upsets your normal sleep pattern and will make it more difficult to fall asleep at the adjusted sleep time. It sounds obvious but caffeine and alcohol should be avoided if you want to catch your zzz’s. Although alcohol may put you to sleep, it won’t result in quality sleep. Stay well hydrated by drinking lots of water. Relax! Stress is the number one cause of sleeplessness, so find ways to unwind and de-stress during and after your flight. Meditation is a great way to achieve this. Don’t stress about losing sleep, this will only cause you to be more uptight. Avoid heavy food close to bed time, both on the plane and after you arrive at your destination. Avoid strenuous exercise nearing bedtime, although light exercise during the day can be very helpful. Get some fresh air and soak up the sun. Exposure to daylight is a powerful biological cue for our bodies so it will help in adjusting the circadian rhythm. Operate within the normal sleep and wake times for your newly adjusted time zone. If you are struggling with ongoing sleep problems, you may be suitable for our Towards Better Sleep program with the next group starting 12th April 2018 from our Morningside practice. Find our more here. 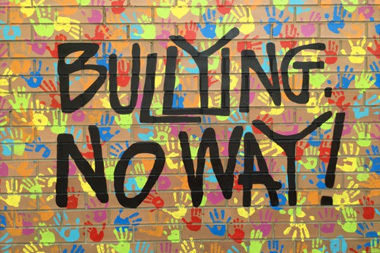 Today, Friday 16th March is ‘Bullying No Way’ day, a national mark of united effort to stop bullying and violence in our country. The organisation’s key focus is early intervention within the school environment where bullying generally begins. Without this intervention victims of bullying enter adult life feeling wounded and bullies replace the school-yard with the workplace. The effects of childhood bullying can and often do persist into adulthood with depression, anxiety, and posttraumatic stress disorder resulting. It can also cause follow on problems such as difficulty holding down a regular job and poor social relationships. Stopping the cycle early and understanding the behaviour of both the bully and the victim is imperative to achieving the organisation’s goal of, ‘a world without bullying’. So why do bullies act the way they do? Understanding this negative behaviour and addressing it, is just as important as treating the victim when aiming to stop the cycle. Theoretically speaking, early intervention generally reaps positive reward and like an out of control weed, nipping it in the bud before it grows into a thorny bramble, may prevent bullying from continuing into adult life. There are many reasons why people bully; cultural, social and domestic environments often contribute but the underlying goal is to gain power, acceptance and approval. And with digital platforms integral to everyday function, bullying has never been more accessible. Cyber-bullying is indisputably the most cowardly form, with no interpersonal confrontation required, the bully’s message is broadcasted to platforms with ten-fold reach of the playground or workplace. Bullies more often than not, have a plethora of emotional issues with studies showing that bullies are often socially inappropriate and have limited natural ability to understand other people’s feelings. They often have dysfunctional relationships with parents and peers and so bully others in an effort to regain the acceptance they are yearning for. It is important to note, that by no means is this a defence. Bullying and violence is completely unacceptable at any level. Victims of bullying are often left permanently scarred with emotional and psychological wounds, requiring ongoing professional help to live a functional life. This must stop, however, to break the cycle, we need to understand the behaviour of both parties, and intervene when issues are in their infancy. If you are the victim of bullying or you need help with social and behavioural problems, seek professional help today and help build a world without bullying. Below are some useful resources relating to bullying and violence prevention. Feel like you have PMS on steroids? The side effects of this hormone imbalance are a lot to deal with, month in month out, affecting women’s relationships, work, social and family life. Many women, upon realising they have more than “just PMS”, reach out for medical help with treatment typically consisting of anti-depressants and birth control pills, aimed at rebalancing hormones and serotonin levels. Although this may alleviate some of the symptoms of PMDD, there may also be value in cognitive behavioural therapy and non-pharmaceutical treatment like exercise and meditation, as ongoing strategies to cope with symptoms. Emotional conflict, feelings of being overwhelmed and niggling negative thoughts are commonly experienced when suffering from PMDD and talking to your partner about it is often counterproductive. A psychologist can develop personalised strategies to help women with emotional and mood related struggles at this time, using cognitive behavioural therapy. CBT helps people to recognise unhelpful thought patterns and adopt strategies that empower you to think differently and therefore behave and feel differently. Psychologists can also detect any underlying psychological concerns that may be unrelated symptoms of PMDD. CBT is commonly used to treat sleep difficulties or insomnia which can also be affected during this phase of the month. Exercise can also form an effective part of a PMDD treatment plan with a wealth of evidence demonstrating the link between aerobic exercise and improved mood. Although there is no official research, anecdotal results show that meditation through art forms like yoga may also help to relieve tension at this time. If you are struggling with PMDD or PMS symptoms and would like professional help, peruse our team of clinical psychologists here. Mental health is complex. A number of factors contribute to it, including genetic factors that are largely out of our control. However, from the moment we are born, life experience comes into play as a significant contributor to our emotional and psychological development. And as a case in point, aspects to a child’s upbringing can increase their risk of developing anxiety that can last throughout childhood and into adulthood. 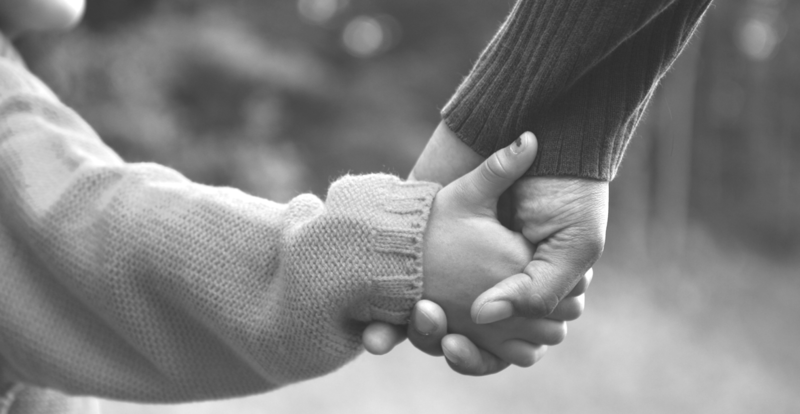 The awareness of parents’ role in developing anxiety in their children can lead to a sense of overwhelming responsibility. All of us would wish to raise healthy, happy children. And yet, the apple doesn’t fall far from the tree, as they say, meaning that children learn from what they see and experience from the adults in their world, especially their parents. The attitudes and behaviours of parents is often modelled by children. Sometimes a parent will hear their child say something, such as “I’m so stupid, I’m sure I’m going to fail this test!” And it can be quite a shock as the parent realises: that is something I’ve said before myself! Even when parents might not consider themselves to be anxious, certain seemingly inconsequential but anxiety-related comments can“rub off” on the little ones who quickly pick up on it. Parents who expect the worst, are fearful in social situations, avoid participating in activities because of feelings of apprehension, and work hard to always be in control, can sometimes find that their children mimic these behaviours, thereby developing their own fears and anxieties. On the other hand, for parents who are able to embrace change, be adaptable, calm and not over-reacting when life doesn’t go to plan, these kinds of qualities can also be passed onto children. It’s not easy! Parents have their own emotional challenges to cope with. Parenting can be really, really difficult. However, if you recognise that your child is anxious, fearful or avoidant, take a step back to assess where the behaviours may have come from. This is not about blaming anyone! Parenting is really difficult. And we have to be very careful not to slip into harsh self-criticism. However, realising the importance of creating feelings of warmth, safeness, security, as well as calm and logical thought is enormously beneficial when it comes to building a happy and healthy child who can grow into a confident and flourishing adult. If in this moment of reflection you recognise yourself as experiencing anxiety, reaching out for help from a psychologist is a very positive step forward for you…and generations to come. And while it is perfectly normal for children to fear new situations or be concerned about change, if your child’s fears are affecting their day-to-day functioning, psychologists can also help them to manage these fears and anxieties. Ultimately the goal is for the whole family to live life to its fullest. 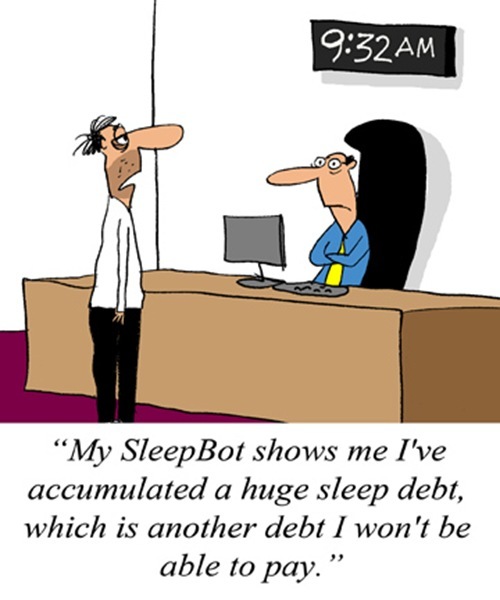 Time to settle your sleep debt? The thing about perfectionists, those that constantly strive for flawlessness, success and the absolute best in everything they do, is that behind the glossy exterior, they are generally dissatisfied and unhappy with life. Constantly striving for more and leaving little time to stop and smell the roses, perfectionism is an exhausting feat that can spiral out of control, affecting self-worth and sometimes leading to more serious issues like depression and eating disorders. Fuelling the perfectionists are those around them, providing the approval, acceptance and praise they yearn for. Praise is not typically counterproductive but for the perfectionist it reaffirms insecurities based on the need to achieve the best, to be worthy. Living in constant fear of falling short or making a mistake, the perfectionist can live with high levels of anxiety and stress often leading to other mental health issue. Striving for perfection is simply not sustainable; it’s a completely subjective and abstract notion that defies the meaning of being human. Recognising this and showing yourself the compassion, you would to others, is the first step to your personal peace treaty. 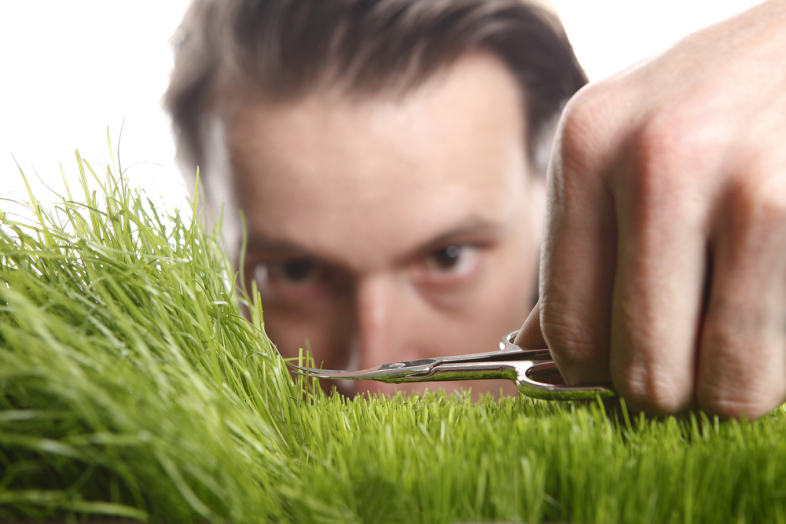 Being mindful and appreciating the present, is not something perfectionists are renown for. Rather than forecasting the next goal to kick, sit back for a minute and give yourself a pat on the back for what you have achieved, remembering that you don’t need the approval of others if you have self-approval. Perfectionist or not, sometimes, we all need a bit of perspective. Taking a break from it all, provides the time and space to appreciate yourself and think more positively about what you have achieved. While you are having a break from ‘it all’, consider a new life project, that is practicing self-compassion. Commit to this with gusto, like you would anything else, and you will soon reap the rewards of being at peace with yourself. Being motivated to achieve your best at work, home or within oneself is an admirable human trait. However, understanding and defining what is your personal best and accepting that it might not be ‘perfect’ may unlock a new level of self-worth and personal fulfilment. In the words of a disney Ice Queen; “Let it go”! 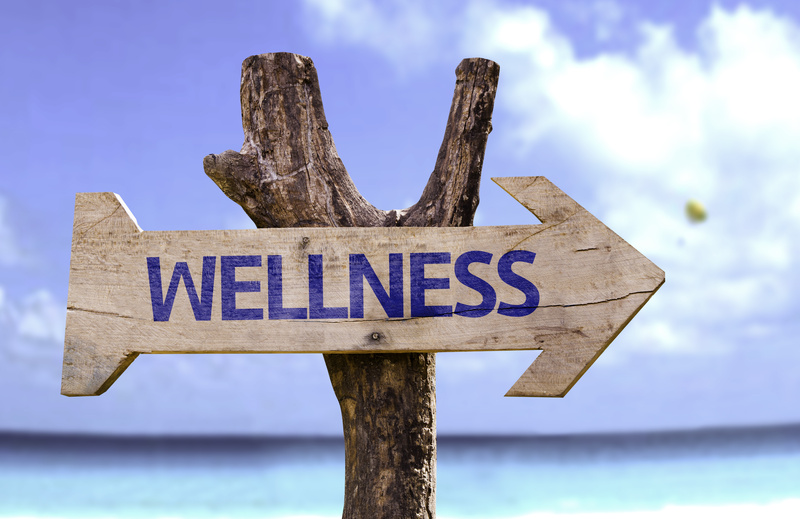 If you need help with personal challenges and unlocking your inner wealth, visit our website to read about our team of experienced clinical psychologists. If you have cruised through life without ever having dealt with a difficult person, count your lucky stars and brace yourself for the inevitable. Most of us know or have dealt with a difficult person. It’s hard to typecast “Mr or Mrs difficult” (let’s call him Mr D.) because they are available in a colourful variety pack at most of life’s outlets, whether it’s school, work, dinner parties or the local supermarket, interacting with these types can be a real strain. Ranging from unpredictable moods to explosive reactions and strong vocal opinions, time spent with such types, can have a knock-on effect on your own mood, confidence and daily outlook. But have you ever stopped to think why they are difficult, perhaps they are going through a tough time or have endured personal experiences that have affected their ability to be positive. Taking a more compassionate approach can be helpful in understanding why Mr D. is so stressful to deal with. That aside, if you are dealing with a difficult person on a regular basis and finding it burdensome, it is important to empower yourself with strategies that make the interaction less stressful. Let’s face it, you are never going to be best buddies with Mr D., so don’t share personal or meaning details of your life with this person. Keep to light topics of conversation to reduce the amount of potential conflict and chances of being hurt by their comments or opinions. 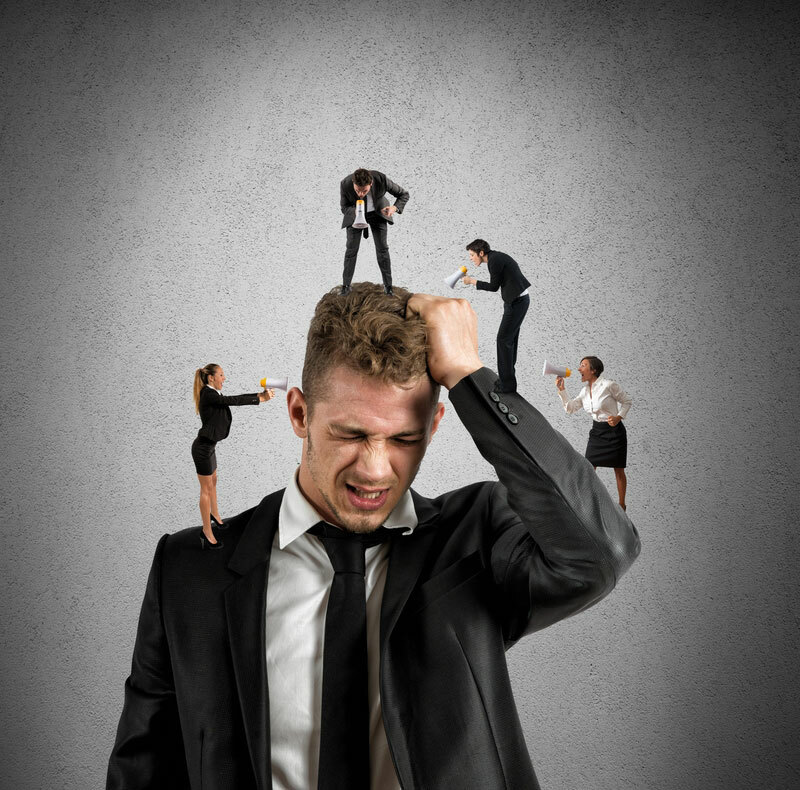 As previously mentioned, difficult people often have problems of their own which have led them to act the way they do. Instead of taking their comments personally, show some compassion for whatever personal journey has led them to be this way. That being said, have your voice heard if you are offended and don’t tolerate bullying or aggressive behaviour. Learning to tolerate difficult people is a personal challenge and it might become an easier task if you can see the lighter side of it. Often, difficult people are narcissists and love to talk about themselves. Consider this a humorous indulgence and deflect all conversations to be about them. This will negate any chance of the person offending you or having to divulge personal or sensitive information. If dealing with Mr D. is a regular chore, reward yourself with a gift, personal time out, or a treat, for your kind, strategic and mindful behaviour. If you find interacting with a difficult person is affecting your personal wellbeing, consider talking to a psychologist about personalised ways you can navigate through this challenging part of your life. You may think that writing a long list of things you need to achieve would be counterintuitive to a good night’s sleep but Clinical Psychologist, Kathryn Smith, thinks not. “Many people find when they have a lot on their plate that writing a list before bed helps to mentally compartmentalise; an action plan of sorts. So rather than worrying all night about what you have to achieve the next day, writing a list helps many people feel more in control”. Kathryn Smith, who facilitates a long-standing insomnia program, called Towards Better Sleep, knows a thing or two about the psychology of sleep and it turns out our behaviour during the day has a lot to answer for. “We live in a society that is busy with high expectations of what one should accomplish in a day. 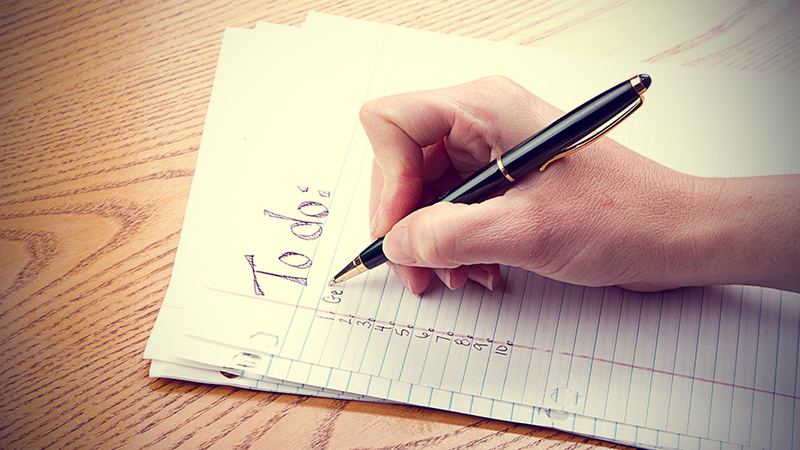 Our daily to do list is constantly expanding to incorporate all facets of work and home life. We are bombarded with emails, text messages, social media alerts and phone calls and by the end of the day, one’s head can be left spinning. With minimal down time in a day’s work, it’s little wonder, sleep can be disturbed” says Kathryn. As afore mentioned, if your day is manic with no down time, chances are you are going to be hyped up and over-stimulated. Taking time for yourself and being mindful of not taking on too much will go a long way in the sleep stakes. Often people experiencing insomnia worry about how much sleep they are going to get that night, usually because they are tired and overwrought. As hard as it may be to switch off the worry button, try to distract yourself from this thought as it only increases anxiety levels and exasperates the problem. All the research points to devices and the blue/green light they omit, as major sleep inhibitors. Shutting down your phone, ipad or laptop within a few hours of sleep is best for sleep health. There is no greater way to let off some steam and get your muscles moving than exercise. Whether it’s before or after work, exercise will improve your sleep, just not within 2 hours of bedtime. Avoid caffeine after 2pm and limit alcohol consumption– both are sleep disruptors. 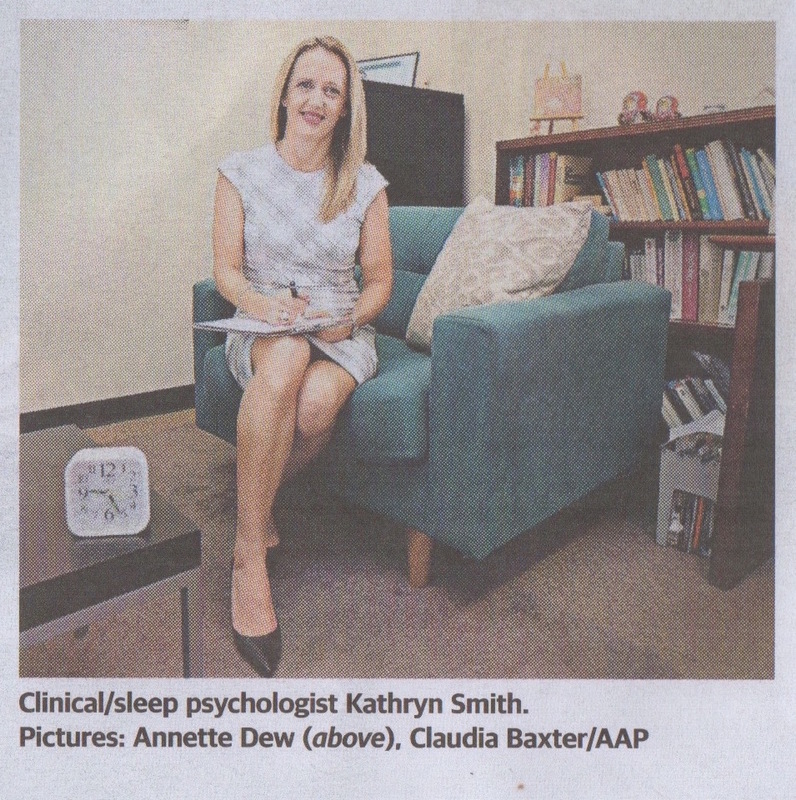 An Interview with Kathryn Smith, Clinical Psychologist, and Towards Better Sleep client, on the impact sleep has on our life.